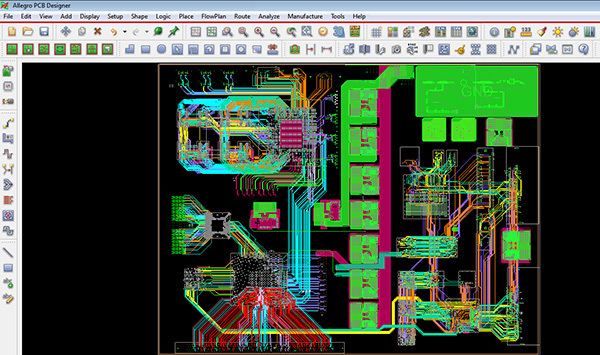 The Cadence® Allegro® PCB Designer quickly takes simple and complex designs from concept to production in a constraint-driven design system to ensure functionality and manufacturability. Scalable technology allows designers to cost-effectively match all current and future technological and methodological needs for teams, organizations, and projects of all sizes and complexities. 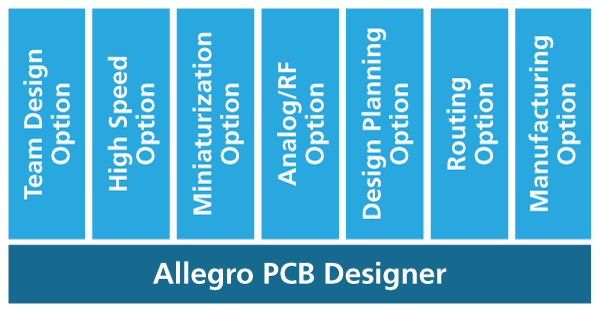 The industry's latest bleeding-edge high-speed design, RF antenna, flex-circuitry, and design for manufacturing (DFM) technology in the Allegro PCB Designer gives you what you need to deliver the innovative products your customers demand. And the advanced design reuse and productivity features give you the advantage you need to beat your competitors to market. Speed designs from placement and routing through to manufacturing with powerful features such as design partitioning, RF design capabilities, and interconnect design planning. With Allegro TimingVision, everything is right there in front of you—this simple fact allows the routing process to be sped up dramatically, from the manual routing efforts we have seen that can take up to four weeks, down to four days.